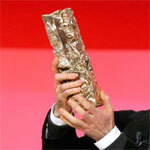 After the announcement of the nominees for the Oscars 2009, it is the turn of French cinema. The official selection for the Césars 2009 was revealed on 23rd January. Three films clearly lead the field this year: The Class, Mesrine and A Christmas Tale. The Class, directed by Laurent Cantet, is the fully-wired observational tale of a term in one classroom at a Parisian junior high school. This adaptation of Francois Begaudeau’s book seems to be a real awards winner. After the Palmes d’Or in Cannes last year, and its nomination for the best foreign language film Oscar, The Class is now favourite for best film at the Césars. Cantet’s movie also got four other nominations, including best director and best adaptation. Note that the Class was also nominated for the best foreign film Oscar. 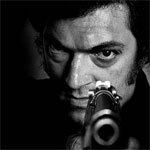 But it is Mesrine, directed by Jean-François Richet, which got this year’s record: ten nominations, including best actor for Vincent Cassel, best director, best film and best music. It is not surprising when one remembers how the critics praised this gangster story. “A brilliant exercise of style”, affirmed Le Monde. Or even, “A powerful political attack on religion” said the arts magazine Les Inrockuptibles. Read also Jacques Mesrine: the French Robin Hood or just a shameless gangster? Heath Ledger won’t perhaps be the only one to receive a posthumous award this year. 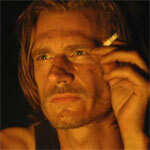 Amongst the five nominees for the best actors César, we can see the name of Guillaume Depardieu, who died last October due to a sudden case of pneumonia. Raised in the shadow of an extremely famous father, this talented but tortured actor managed to make his own name on the French scene. He’s here nominated for his role in “Versailles”, directed by Pierre Schoeller, where he played a dropout living in the forest near Versailles, the famous castle of Louis XIV. We must concede that Danny Boon’s film “Bienvenue chez les Ch’tis” is not the kind of movie we are used to seeing amongst the nominees for the Césars. But how could the academy avoid having the most successful French movie ever amongst the nominees? In fact, with more than 20 millions entries, the comedy about the North of France broke all records. A Hollywood adaptation is even about to be made, under the title “Welcome to the Sticks”. “Bienvenue chez les Ch’tis” is therefore nominated for the best original screenplay, alongside with “A Christmas Tale”, and “Il y a longtemps que je t’aime”, by Philippe Claudel. If I were a Teeange Mutant Ninja Turtle, now I'd say ?Kowabunga, dude! ?